Indiana Gov. 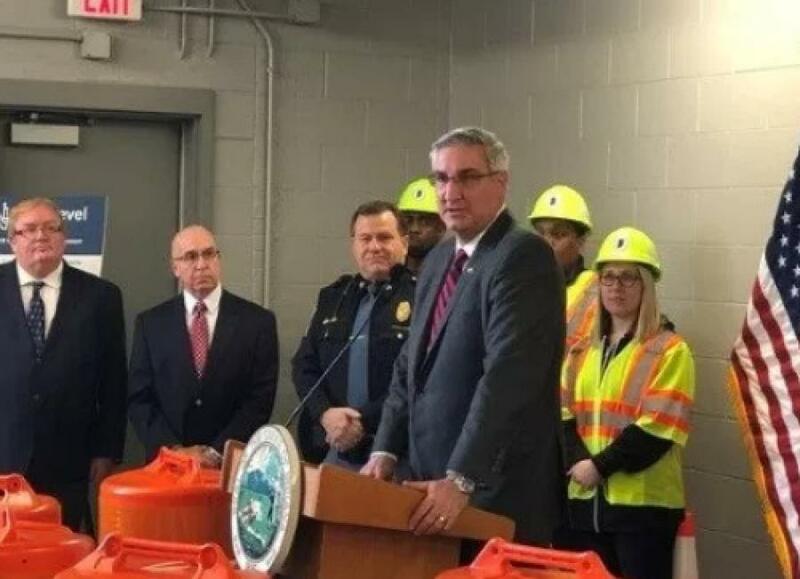 Eric Holcomb helped kick off the 2019 road construction season in Indiana during a March 19 media event — construction that's touted in part as the continuation of the state's Next Level Roads strategy, originally implemented in mid-2017. "Maintaining our leading position as the Crossroads of America is vital to growing Indiana's economy, attracting new employers, expanding existing businesses and providing a quality of life we can be proud of," Holcomb said. "Because of our state's fully funded plan, INDOT and local communities are making meaningful infrastructure investments with results that will be felt throughout Indiana for years to come," he added. More than 1,100 projects are scheduled for construction along Indiana Department of Transportation routes in 2019, noted Joe McGuinness, the agency's commissioner, during the media event. When construction is combined with preventative maintenance activities, the state is investing more than $2 billion in its highway network this year alone, with the Next Level Roads plan aiming to spend an estimated $10 billion on construction and maintenance of state highways over the next five years and more than $30 billion in the next 20 years. Additionally, INDOT is making available an estimated $140 million to help address winter damage for projects like repaving portions of I-465 in Indianapolis, McGuinness added. "INDOT is delivering a record number of projects in 2019 on top of many cities, towns, and counties that are also delivering more construction projects than ever before," he said. "In the short term, that means that Hoosiers will see a lot of orange barrels this year and should expect some delays. The payoff will be thousands of miles of smoother pavement and hundreds of improved bridges in all corners of Indiana."